November | 2018 | A balanced diet . . .
Russian geneticist and plant breeder Nikolai Vavilov (1887-1943) is a hero of mine. He died, a Soviet prisoner, five years before I was born. Until I began my graduate studies in the Department of Botany at the University of Birmingham in the conservation and use of plant genetic resources (i.e., crops and their wild relatives) almost 50 years ago in September 1970, his name was unknown to me. Nevertheless, Vavilov’s prodigious publications influenced the career I subsequently forged for myself in genetic conservation. At the same time I was equally influenced by my mentor and PhD supervisor Professor Jack Hawkes, at Birmingham, who met Vavilov in St Petersburg in 1938. Vavilov undoubtedly laid the foundations for the discipline of genetic resources —the collection, conservation, evaluation, and use of plant genetic resources for food and agriculture (PGRFA). It’s not for nothing that he is widely regarded as the Father of Plant Genetic Resources. Almost 76 years on from his death, we now understand much more about the genetic diversity of crops than we ever dreamed possible, even as recently as the turn of the Millennium, thanks to developments in molecular biology and genomics. The sequencing of crop genomes (which seems to get cheaper and easier by the day) opens up significant opportunities for not only understanding how diversity is distributed among crops and species, but how it functions and can be used to breed new crop varieties that will feed a growing world population struggling under the threat of environmental challenges such as climate change. These tools were not available to Vavilov. He used his considerable intellect and powers of observation to understand the diversity of many crop species (and their wild relatives) that he and his associates collected around the world. Which student of genetic resources can fail to be impressed by Vavilov’s theories on the origins of crops and how they varied among regions. In my own small way, I followed in Vavilov’s footsteps for the next 40 years. I can’t deny that I was fortunate. I was in the right place at the right time. I had some of the best connections. I met some of the leading lights such as Sir Otto Frankel, Erna Bennett, and Jack Harlan, to name just three. I became involved in genetic conservation just as the world was beginning to take notice. Knowing of my ambition to work overseas (particularly in South America), Jack Hawkes had me in mind in early 1971 when asked by Dr Richard Sawyer, the first Director General of the International Potato Center (CIP, based in Lima, Peru) to propose someone to join the newly-founded center to curate the center’s collection of Andean potato varieties. This would be just a one-year appointment while a Peruvian scientist received MSc training at Birmingham. Once I completed the MSc training in the autumn of 1971, I had some of the expertise and skills needed for that task, but lacked practical experience. I was all set to get on the plane. However, my recruitment to CIP was delayed until January 1973 and I had, in the interim, commenced a PhD project. I embarked on a career in international agricultural research for development almost by serendipity. One year became a lifetime. The conservation and use of plant genetic resources became the focus of my work in two international agricultural research centers (CIP and IRRI) of the Consultative Group on International Agricultural Research (CGIAR), and during the 1980s at the University of Birmingham. My first interest were grain legumes (beans, peas, etc. ), and I completed my MSc dissertation studying the diversity and origin of the lentil, Lens culinaris whose origin, in 1970, was largely speculation. Trevor Williams, the MSc Course tutor, supervised my dissertation. He left Birmingham around 1977 to become the head of the International Board for Plant Genetic Resources (IBPGR) in Rome, that in turn became the International Plant Genetic Resources Institute (IPGRI), and continues today as Bioversity International. I guess that interest in legume species had been sparked by Joe Smartt at the University of Southampton, who taught me genetics and encouraged me in the first instance to apply for a place to study at Birmingham in 1970. But the cold reality (after I’d completed my MSc in the autumn of 1971) was that continuing on to a PhD on lentils was never going to be funded. So, when offered the opportunity to work in South America, I turned my allegiance to potatoes and, having just turned 24, joined CIP as Associate Taxonomist. From the outset, it was agreed that my PhD research project, studying the diversity and origin, and breeding relationships of a group of triploid (with three sets of chromosomes) potato varieties that were known scientifically as Solanum x chaucha, would be my main contribution to the center’s research program. But (and this was no hardship) I also had to take time each year to travel round Peru and collect local varieties of potatoes to add to CIP’s germplasm collection. I explored the northern departments of Ancash and La Libertad (with my colleague Zósimo Huamán) in May 1973, and Cajamarca (on my own with a driver) a year later. Each trip lasted almost a month. I don’t recall how many new samples these trips added to CIP’s growing germplasm collection, just a couple of hundred at most. Collecting in Ancash with Zosimo Huaman in May 1973. Collecting potatoes from a farmer in Cajamarca, northern Peru in May 1974 (L); and getting ready to ride off to a nearby village, just north of Cuzco, in February 1974 (R). 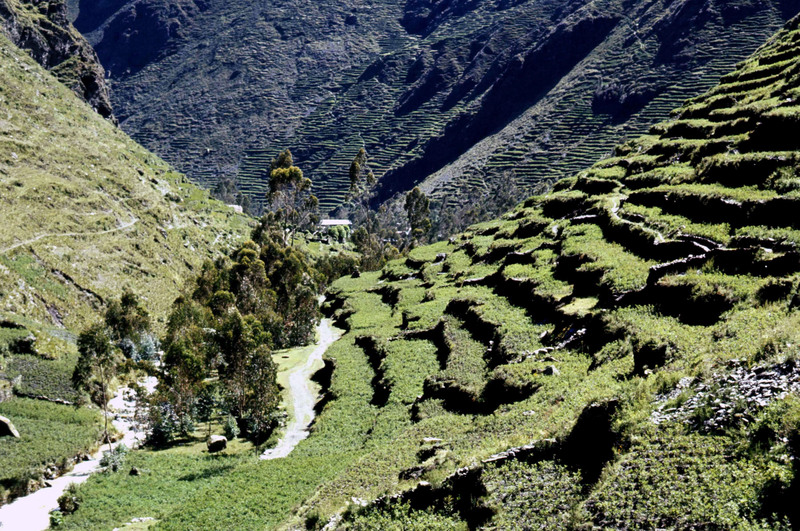 In February 1974, I spent a couple of weeks in the south of Peru, in the department of Puno, studying the dynamics of potato cultivation on terraces in the village of Cuyo-Cuyo. Potato terraces at Cuyo Cuyo in Puno, southern Peru. I made just one short trip with Jack Hawkes (and another CIP colleague, Juan Landeo) to collect wild potatoes in central Peru (Depts. of Cerro de Pasco, Huánuco, and Lima). It was fascinating to watch ‘the master’ at work. After all, Jack had been collecting wild potatoes the length of the Americas since 1939, and instinctively knew where to find them. Knowing their ecological preferences, he could almost ‘smell out’ each species. 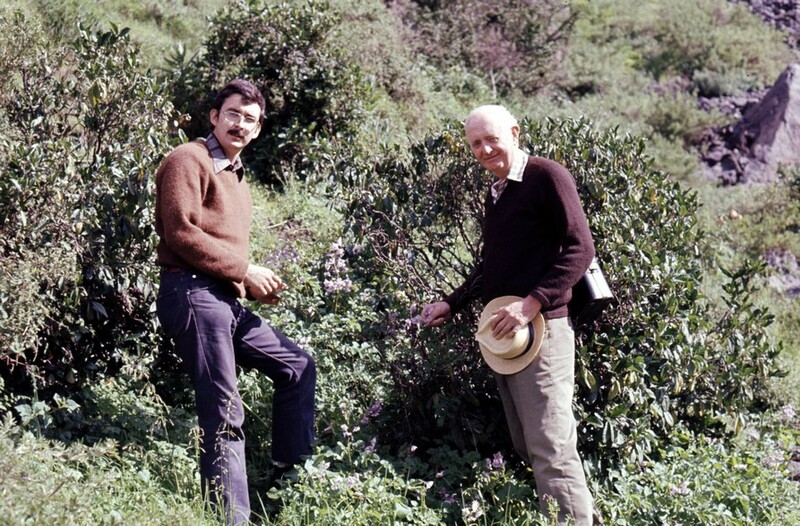 With Jack Hawkes, collecting Solanum multidissectum in the central Andes north of Lima, early 1975. My research (and Zósimo’s) contributed to a better understanding of potato diversity in the germplasm collection, and the identification of duplicate clones. 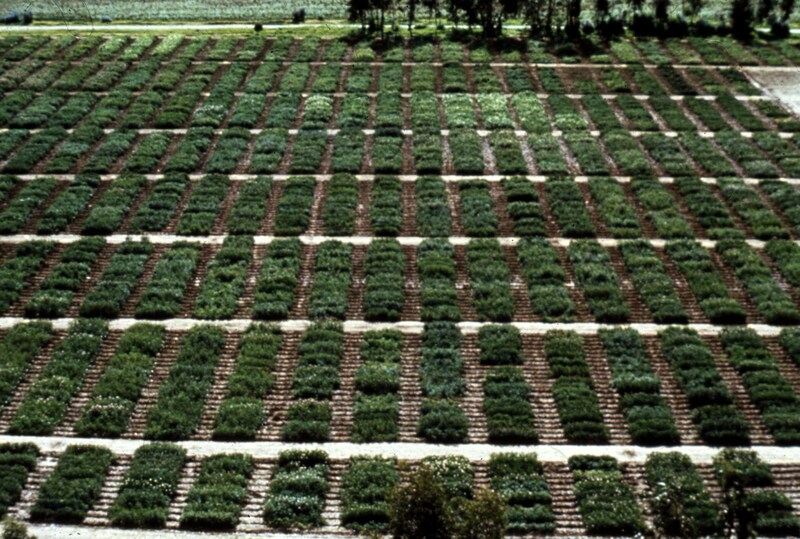 During the 1980s the size of the collection maintained as tubers was reduced, while seeds (often referred to as true potato seed, or TPS) was collected for most samples. Dr Roger Rowe was my department head at CIP, and he became my ‘local’ PhD co-supervisor. A maize geneticist by training, Roger joined CIP in July 1973 as Head of the Department of Breeding & Genetics. Immediately prior to joining CIP, he led the USDA’s Inter-Regional Potato Introduction Project IR-1(now National Research Support Program-6, NRSP-6) at the Potato Introduction Station in Sturgeon Bay, Wisconsin. Although CIP’s headquarters is at La Molina on the eastern outskirts of Lima, much of my work was carried out in Huancayo, a six hour drive winding up through the Andes, where CIP established its highland field station. This is where we annually grew the potato collection. Aerial view of the potato germplasm collection at the San Lorenzo station of CIP, near Huancayo in the Mantaro Valley, central Peru, in the mid-1970s. During the main growing season, from about mid-November to late April (coinciding with the seasonal rainfall), I’d spend much of every week in Huancayo, making crosses and evaluating different varieties for morphological variation. This is where I learned not only all the practical aspects of conservation of a vegetatively-propagated crop, and many of the phytosanitary implications therein, but I also learned how to grow a crop of potatoes. 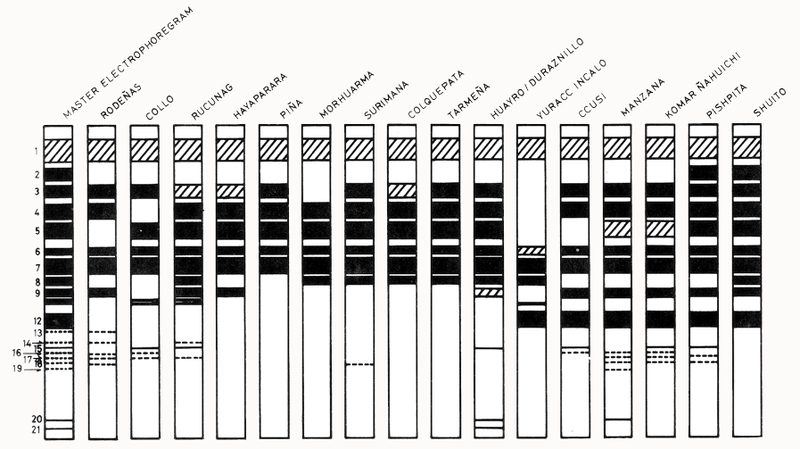 Then back in Lima, I studied the variation in tuber proteins using a tool called polyacrylamide gel electrophoresis (that, I guess, is hardly used any more) by separating these proteins across a gel concentration gradient, as shown diagrammatically in the so-called electrophoregrams below. Compared to what we can achieve today using a range of molecular markers, this technique was really rather crude. Jack Hawkes visited CIP two or three times while I was working in Lima, and we would walk around the germplasm collection in Huancayo, discussing different aspects of my research, the potato varieties I was studying, and the results of the various crossing experiments. With Jack Hawkes in the germplasm collection in Huancayo in January 1975 (L); and (R), discussing aspects of my research with Carlos Ochoa in a screenhouse at CIP in La Molina (in mid-1973). I was also fortunate (although I realized it less at the time) to have another potato expert to hand: Professor Carlos Ochoa, who joined CIP (from the National Agrarian University across the road from CIP) as Head of Taxonomy. Well, three years passed all too quickly, and by the end of May 1975, Steph and I were back in Birmingham for a few months while I wrote up and defended my dissertation. This was all done and dusted by the end of October that year, and the PhD was conferred at a congregation held at the university in December. With Jack Hawkes (L) and Trevor Williams (R) after the degree congregation on 12 December 1975 at the University of Birmingham. With that, the first chapter in my genetic resources career came to a close. But there was much more in store . . . I remained with CIP for the next five years, but not in Lima. Richard Sawyer asked me to join the center’s Regional Research Program (formerly Outreach Program), initially as a post-doctoral fellow, the first to be based outside headquarters. Thus, in April 1976 (only 27 years old) I was posted to Turrialba, Costa Rica (based at a regional research center, CATIE) to set up a research project aimed at adapting potatoes to warm, humid conditions of the tropics. A year later I was asked to lead the regional program that covered Mexico, Central America, and the Caribbean. CATIE had its own germplasm collections, and just after I arrived there, a German-funded project, headed by Costarrican scientist Dr Jorge León, was initiated to strengthen the ongoing work on cacao, coffee, and pejibaye or peach palm, and other species. Among the young scientists assigned to that project was Jan Engels, who later moved to Bioversity International in Rome (formerly IBPGR, then IPGRI), with whom I have remained in contact all these years and published together. So although I was not directly involved in genetic conservation at this time, I still had the opportunity to observe, discuss and learn about crops that had been beyond my immediate experience. It wasn’t long before my own work took a dramatically different turn. 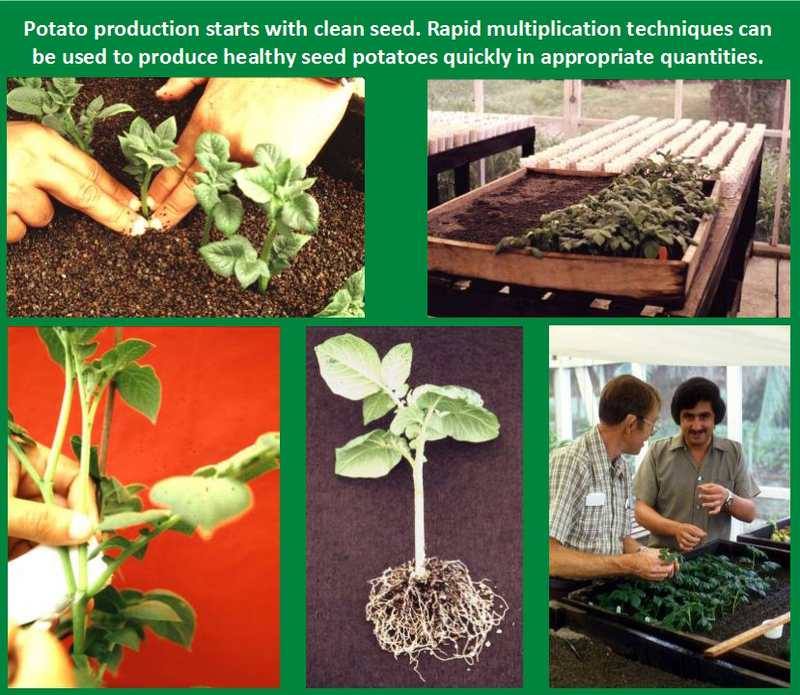 In July 1977, in the process of evaluating around 100 potato varieties and clones (from a collection maintained in Toluca, Mexico) for heat adaptation (no potatoes had ever been grown in Turrialba before), my potato plots were affected by an insidious disease called bacterial wilt (caused by the pathogen Ralstonia solanacearum). (L) Potato plants showing typical symptoms of bacterial wilt. (R) An infected tuber exuding the bacterium in its vascular system. Turrialba soon became a ‘hot spot’ for evaluating potato germplasm for resistance against bacterial disease, and this and some agronomic aspects of bacterial wilt control became the focus of much of my research over the next four years. I earlier wrote about this work in more detail. This bacterial wilt work gave me a good grounding in how to carefully evaluate germplasm, and we went on to look at resistance to late blight disease (caused by the fungus Phytophthora infestans – the pathogen that caused the Irish Potato Famine of the 1840s, and which continues to be a scourge of potato production worldwide), and the viruses PVX, PVY, and PLRV. One of the most satisfying aspects of my work at this time was the development and testing of rapid multiplication techniques, so important to bulk up healthy seed of this crop. My good friend and seed production specialist colleague Jim Bryan spent a year with me in Costa Rica on this project. Throughout this period I was, of course, working more on the production side, learning about the issues that farmers, especially small farmers, face on a daily basis. It gave me an appreciation of how the effective use of genetic resources can raise the welfare of farmers and their families through the release of higher productivity varieties, among others. 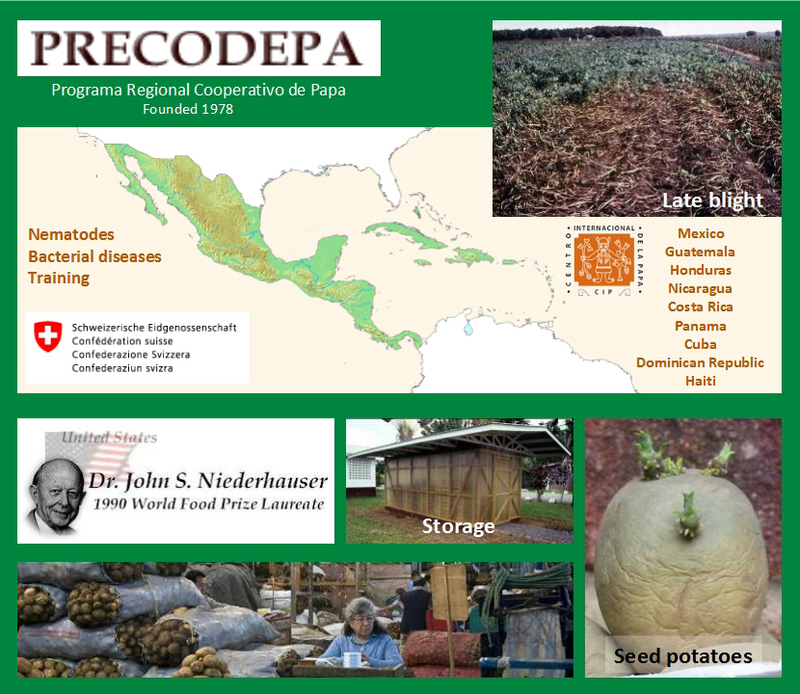 I suppose one activity that particularly helped me to hone my management skills was the setting up of PRECODEPA in 1978, a regional cooperative potato project involving six countries, from Mexico to Panama and the Dominican Republic. Funded by the Swiss, I had to coordinate and support research and production activities in a range of national agricultural research institutes. It was, I believe, the first consortium set up in the CGIAR, and became a model for other centers to follow. I should add that PRECODEPA went from strength to strength. It continued for at least 25 years, funded throughout by the Swiss, and expanding to include other countries in Central America and the Caribbean. However, by the end of 1980 I felt that I had personally achieved in Costa Rica and the region as much as I had hoped for and could be expected; it was time for someone else to take the reins. In any case, I was looking for a new challenge, and moved back to Lima (38 years ago today) to discuss options with CIP management. It seemed I would be headed for pastures new, the southern cone of South America perhaps, even the Far East in the Philippines. But fate stepped in, and at the end of March 1981, Steph, daughter Hannah (almost three) and I were on our way back to the UK. 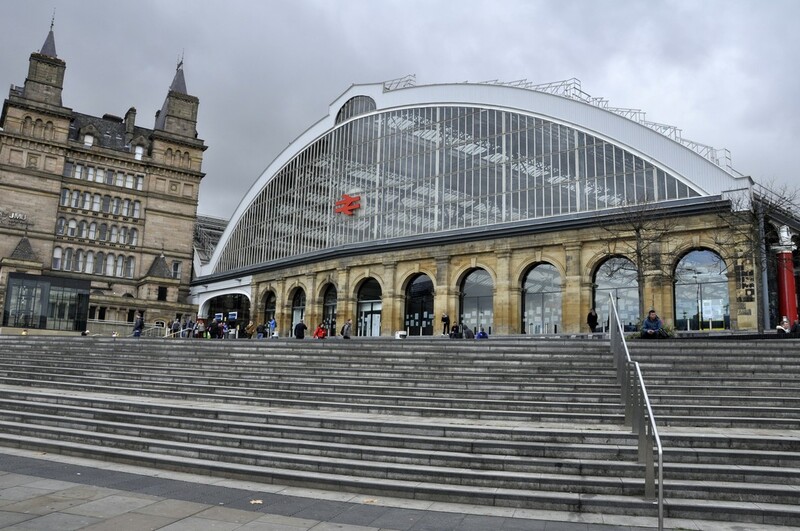 To Birmingham in fact, where I had accepted a Lectureship in the Department of Plant Biology. The subsequent decade at Birmingham opened up a whole new set of genetic resources opportunities . . .
Three score and ten . . .
18 November 1948. Today is my 70th birthday. Septuagenarian. 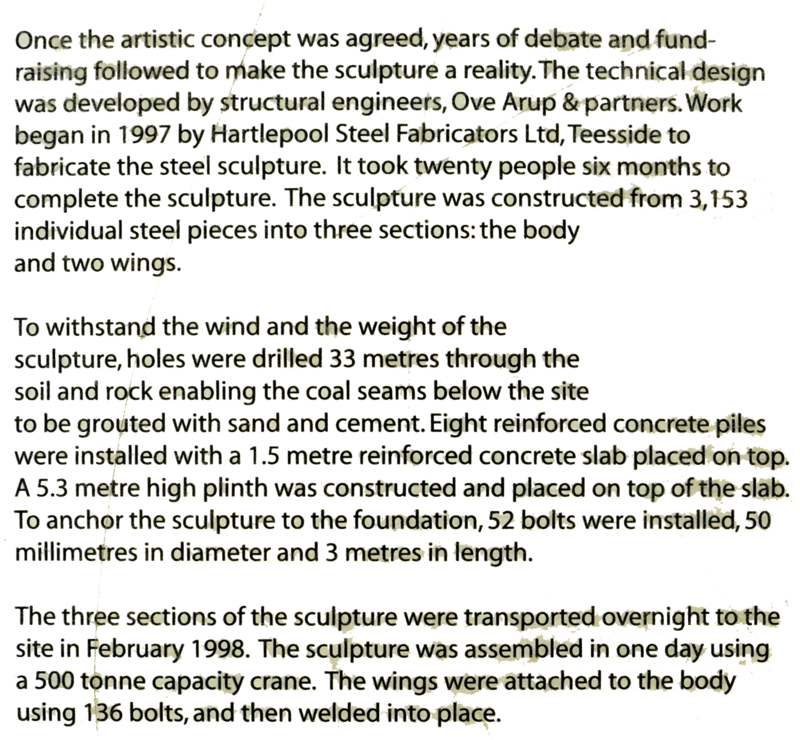 The Biblical three score and ten (Psalm 90:10)! 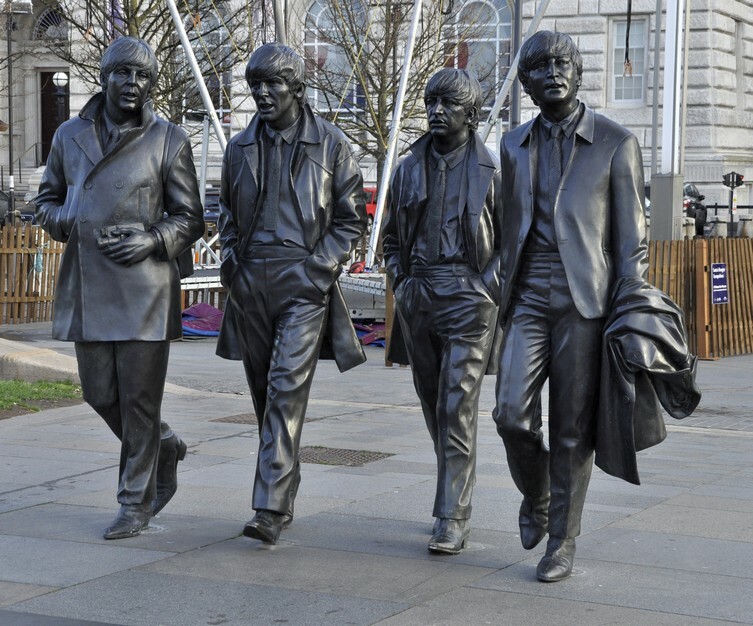 Steph and I have come away for the weekend to celebrate my birthday with The Beatles in Liverpool. 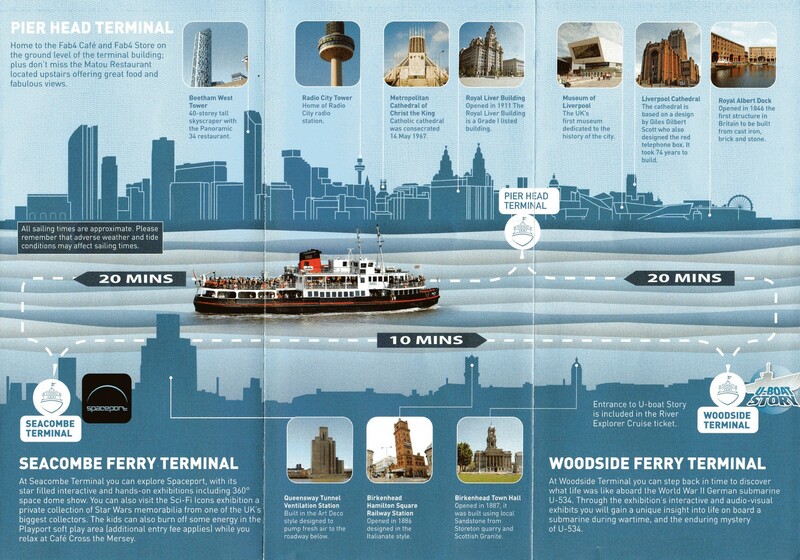 We are staying for a couple of nights at Jurys Inn close to the Albert Dock. 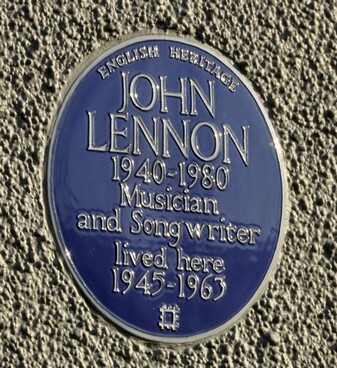 Later this morning we’ve booked to visit the National Trust-owned Beatles’ Childhood Homes (of John Lennon and Paul McCartney). 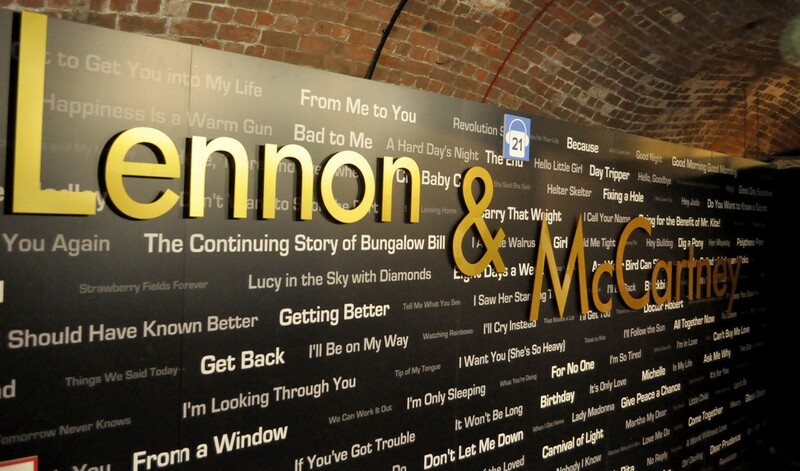 And after lunch, we will tour The Beatles Story where I’m hoping to see, displayed there, something special from my childhood. How the years have flown by. Just a month ago, Steph and I celebrated our 45th wedding anniversary. And I find it hard to believe that I started university over 50 years ago. That got me thinking. I’ve written quite a lot in this blog about the years after I graduated, my time working overseas, about travel, and what Steph and I have been up to since retiring in 2010. However, I written much less about my early years growing up in Cheshire and Staffordshire. This is then an appropriate moment to fill some gaps. I was born in Knowlton House nursing home in Congleton, Cheshire (map), third son and fourth and youngest child of Frederick Harry Jackson (aged 40), a photo process engraver, and Lilian May Jackson, also aged 40, housewife. My eldest brother Martin has been able to trace our family’s ancestry (mainly on my father’s side) back to someone named Bull, who was my 13th great-grandfather, born around 1480 on the Staffordshire/ Derbyshire border, just one of my 32,000 plus direct ancestors then. I must be related to royalty in one way or another (as are most of us), although looking at the occupations noted for many of them in various official documents (birth and marriage certificates, census data), we came a long way down the pecking order. Definitely below the salt! We’re Irish on my mother’s side of the family. A punk before it was fashionable! I am also a child of the National Health Service (NHS) that was founded in July 1948. In fact, I’m (approximately) the 190,063rd baby born under the NHS! Knowlton House on Parson Street in Congleton – it’s no longer a nursing home. I wonder who assisted at my birth? It could well have been our family Dr Galbraith, or Nurses Frost and Botting. Dr Galbraith (R) was our family doctor, who (with his partner Dr Ritchie) often attended births at Knowlton House, and is seen here with resident midwife Nurse Rose Hannah Frost, who assisted at more than 3000 births. There is a very good chance either Nurse Frost or Nurse May Botting (who ran the nursing home) assisted at my birth. In this photo from 1936, Dr Galbraith and Nurse Frost are holding the Nixon triplets. Photo courtesy of Alan Nixon, who was apparently named after Dr Galbraith. My dad registered my birth¹ on 22 November (Entry No. 442). There are few ‘Michaels’ in the family; Thomas is my paternal grandfather’s name. My eldest brother Martin was born in September 1939, just a couple of days before war was declared on Germany. My sister Margaret was born in January 1941. Martin and Margaret spent much of WWII with my paternal grandparents in rural Derbyshire. My elder brother Edgar (‘Ed’) is, like me, one of the baby boomer generation, born in July 1946. I’ve often wondered what sacrifices Mum and Dad had to make to give us all such a good start in life. Growing up in Congleton, we lived at 13 Moody Street, close to the town center’s High Street. There’s not much to tell about my first couple of years, other than what I can surmise from a few photographs taken around that time when I was still in my pram or just beginning to walk. Two things I do remember clearly, though. The hens my father used to keep, and even the large henhouse he constructed at the bottom of the garden. And our female cat, Mitten, and all her kittens. That must have been the start of becoming an ailurophile (cat lover). My best friend was Alan Brennan, a year younger, who lived a little further up Moody Street at No. 23 (and with whom I reconnected through this blog, after a gap of around 60 years!). With Alan and his parents (and friends) at Timbersbrook, in 1955. I clearly remember Mr Brennan’s Vauxhall car – a Wyvern I believe. We didn’t go to the same primary school. Like my brothers and sister before me, I was enrolled (in September 1952 or April 1953, maybe as late as September 1953) at the small Church of England school on Leek Road in Mossley, south of the town. By then, Martin had moved on to grammar school in Macclesfield; Margaret had also transferred to secondary school in Congleton. Each morning, Ed and I would catch the bus in the High Street together for the short, 1½ mile ride to Mossley. And even as young as five, I would sometimes walk home alone from school during the summer months, along Leek Road and Canal Road/Street. How times change! I remember the headteacher, Mr Morris, as a kind person. My class teachers were Mrs Bickerton (on the left) and Mrs Johnson (on the right). Courtesy of Liz Campion. There was a real community of children around Moody Street, Howie Lane/Hill, and Priesty Fields. In summer, we’d all wander up to play on the swing bridge over the Macclesfield Canal (beyond the cemetery – where we would also play in a WWII air raid shelter). The bridge has long been replaced, but from comments on a Congleton Facebook group I belong to, it seems that over the generations, many children enjoyed the swing bridge as much as we did. In winter, we had fun in the snow at Priesty Fields just round the corner from Moody St. And, as you can see below, we enjoyed dressing up. Happy days! In the upper image, taken on Coronation Day in 1953, I’m fifth from the right (carrying the stick). Alan Brennan is the little by to the left of the ‘clown’, and in front of the ‘pirate’, my elder brother Ed. The lower image was taken on May Day, probably 1953 or 54. I’m on the left, carrying the sword, uncertain whether to be a knight or a cowboy. c. 1955. L-R: Veronica George, Carol Brennan, Jessica George, my elder brother Ed, me, Margaret Moulton, and Alan Brennan. Taken in the garden of No 13 Moody St. The George sisters lived at No. 21 Moody St. I often joined my father when he went out on photographic assignments for the Congleton Chronicle (where he was Chief Photographer), often to Biddulph Grange when it was an orthopedic hospital, also to Astbury, and out into the beautiful Cheshire countryside. I remember one outing in particular, to Little Moreton Hall in May 1954. This is my father’s photo of Manley Morris Men dancing there, an image that stuck in my mind for many years. So much so that when I went to university in the later 1960s, I helped form a morris dancing side, the Red Stags, that’s still going strong (albeit in a slightly different form) 50 years later. The Manley Morris Men at Little Moreton Hall on 8 May 1954. For family holidays I remember those in North Wales, at a caravan park or, on one occasion, a camping coach, a converted railway carriage alongside the mainline to Holyhead next to the beach at Abergele. During these early years, until July 1954, rationing was still in place that had come into effect at the start of the Second World War. I often wonder how my parents managed to raise four children during these difficult years. One thing I do recall, however, is how we shared things, particularly confectionery. No individual treats. My father would buy a Mars bar (I’m sure they were bigger then) and cut it into six pieces. Funny how these things stick in one’s memory. April 1956. A big change in my life. My family upped sticks and moved 12 miles southeast to the market town of Leek in north Staffordshire, where my father took over a retail photography business. As I was only 7½ when we moved, I’ve come to regard Leek as my home town. My parents lived there for the rest of their lives. My father passed away in 1980, and after my mother had a stroke in 1990, only then did she move away from Leek to spend her last couple of years in a care home near my sister in South Wales. We lived at No. 65, St Edward Street, and within a couple of days of arriving there, I’d made friends with three boys who lived close by: Philip Porter (next door), Geoff Sharratt – whose father was publican at The Quiet Woman pub a few doors away, and David Phillips who lived over the road. Geoff’s younger sister Susan sometimes joined in our games, as did Philip’s sister Jill. We were the ‘St Edward Street Gang’. Here we are in the late 1950s (probably 1958), in the yard of The Quiet Woman pub. L-R: Sue, Geoff, me, Philip, and Dave. And again in 2018. Geoff was my best friend, and we spent a lot of time playing together. There were several upstairs rooms at The Quiet Woman, one of which was the Lodge of the Royal Antediluvian Order of Buffaloes (RAOB, the Buffs, a fraternal organization somewhat similar to the Freemasons). During inclement weather, we often took refuge in the Lodge, playing among the benches and high chairs. Playing with my Hornby ‘O’ gauge clockwork train at ‘Congleton’ station – it would be a collectors’ item today. Taken around 1958. I was also a cub scout, as was Ed. Around 1960, the lease on No. 65 came due, so my father decided to to find a better location for his business. First, he moved across St Edward’s St to No. 56 (while we lived in a flat at the top of the Market Place). 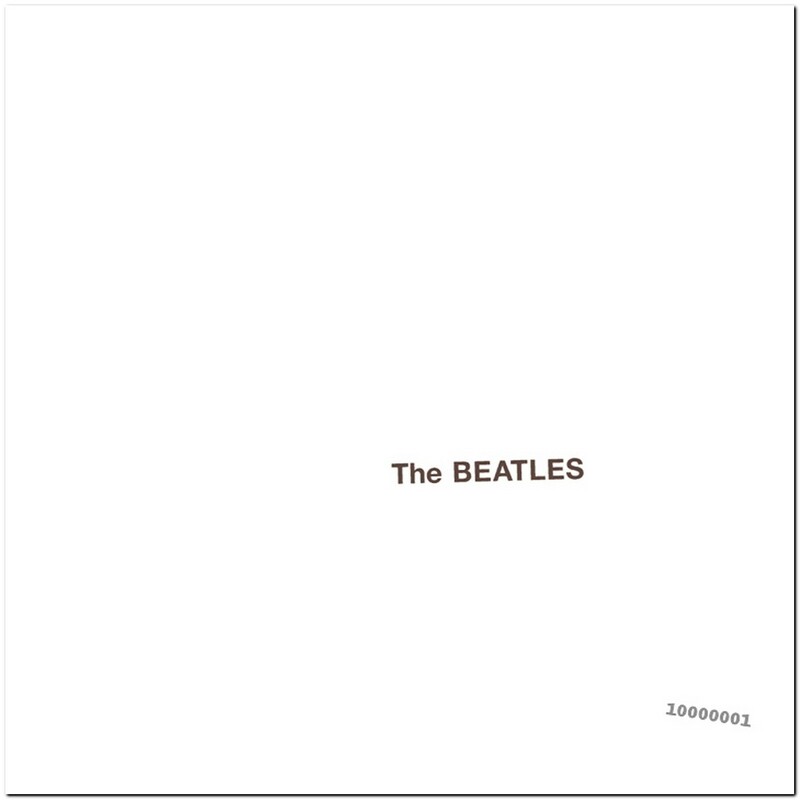 In 1962/63 my father acquired No. 19 Market Place as premises for his photographic business, with living accommodation above. This was just what he had been looking for, centrally located in the town, lots of footfall. But the whole property had to be refurbished; there was only one water tap – in the cellar. He did much of the refurbishment himself. I’ve never ceased to be amazed at his DIY talents, something I sadly have not inherited to the same degree. My parents remained at No. 19 until they retired in 1976. Sandwiched between Jackson the Optician (no relation) on the left, and Victoria Wine on the right, No 19 Market Place was my parents home for 14 years. Around the same time, Geoff’s parents left The Quiet Woman and moved elsewhere in the town. I was also traveling every day to school to Trent Vale on the south side of Stoke-on-Trent (a round trip of about 28 miles), while Geoff continued his education in Leek. As a consequence, we drifted apart, but through my blog we reconnected in 2012. My mother’s family were Irish Catholics, and although we had not been brought up in the faith while in Congleton, both Ed and myself were enrolled in St. Mary’s RC primary school on Cruso Street, a short walk away from home. We were taught by Sisters of Loreto nuns. Headmistress Mother Elizabeth or my class teacher, Mother Bernadine, were never averse to wrapping us across the knuckles with the sharp edge of a ruler. In my final year at St Mary’s (1959-60), we were taught by Mr Smith. But my recollections don’t tally so much with many others who also attended St Mary’s. And I have been horrified at some accounts of how unhappy they were at the school in the 1950s and 60s. In the late 50s and early 60s, just Ed and I would join our parents for holidays in Wales, most often camping or in our own caravan. Some of my happiest memories though come from our visits to my grandparents² (my father’s parents) in Hollington, a small Derbyshire village between Ashbourne and Derby. My grandfather was almost 76 when I was born; Grandma was 68. 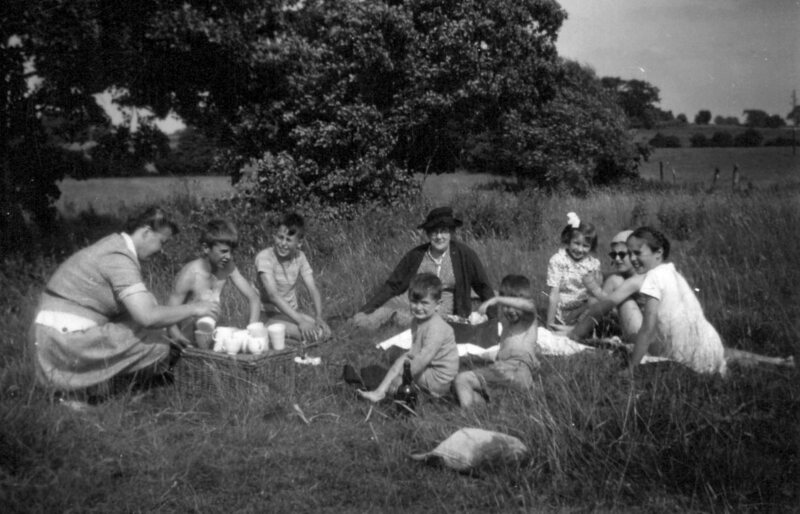 Family picnic at Hollington, c. 1952, with cousins. Grandma in the center, my mum is on the left. I’m center front ‘guarding’ the bottle. With Grandad and Grandma Jackson, and our cousin Diana, c. 1959 at Ebenezer Cottage. Grandma and Grandad celebrated their Golden Wedding in 1954, the occasion of a large gathering of family and friends in Hollington. I passed my 11 Plus exam to attend a Roman Catholic grammar school, St Joseph’s College, at Trent Vale on the south side of Stoke-on-Trent. Founded by Irish Christian Brothers in 1932, the school took boys only (but is now co-educational). I had to be on the bus by 07:50 each morning if I was to get to school by 09:00. This was my daily routine for the next seven years. On reflection, I can’t say that I found the school experience satisfying or that the quality of the education I received was worth writing home about. Yes, there were some good teachers who I looked up to, but much of the teaching was pretty mediocre. I’ve written elsewhere about the gratuitous use of corporal punishment at the school. Perhaps one of the school’s claims to fame was the priest who attended to our ‘spiritual needs’. He was Father John Tolkien, son JRR Tolkien, the author of Lord of the Rings and The Hobbit. My first impressions of Fr Tolkien were not favorable. He came across as cold and authoritarian. When I got to know him later on, however, I found he was a warm person with a good sense of humor. I was saddened to learn that his last years were blighted by accusations of abuse, later dropped. I was lucky to secure a place in October 1967 at the University of Southampton to study botany and geography, beginning three of the happiest years of my life. I’ve already blogged about various aspects of my time at Southampton, and you can read them here. Little did I think that I would have a career in botany, and that would lead me to fulfill one of my ambitions: to visit Peru. Even though I graduated in 1970 with only an average BSc degree, that didn’t hold me back. I had ambitions. I was fortunate to be accepted into graduate school at the University of Birmingham, where I completed MSc and PhD degrees in plant genetic resources, and returned there in 1981 for a decade as Lecturer in Plant Biology. After my PhD graduation at The University of Birmingham on 12 December 1975 with my PhD supervisor, Prof. Jack Hawkes (L) and Prof. Trevor Williams (R) who supervised my MSc dissertation. My international career in plant genetic resources conservation and agriculture took me to Peru and Costa Rica from 1973-1981, to work on potatoes for the International Potato Center (CIP). And then in July 1991, I moved to the Philippines to join the International Rice Research Institute (IRRI) for the next 19 years as head of the genebank then as Director for Program Planning and Communications. I had good opportunities to publish my research over the years, in terms of journal articles, books and book chapters, and presentations at scientific conferences. led a system-wide review of the CGIAR research support program for Managing and Sustaining Crop Collections: Genebanks CRP during 2016-17. 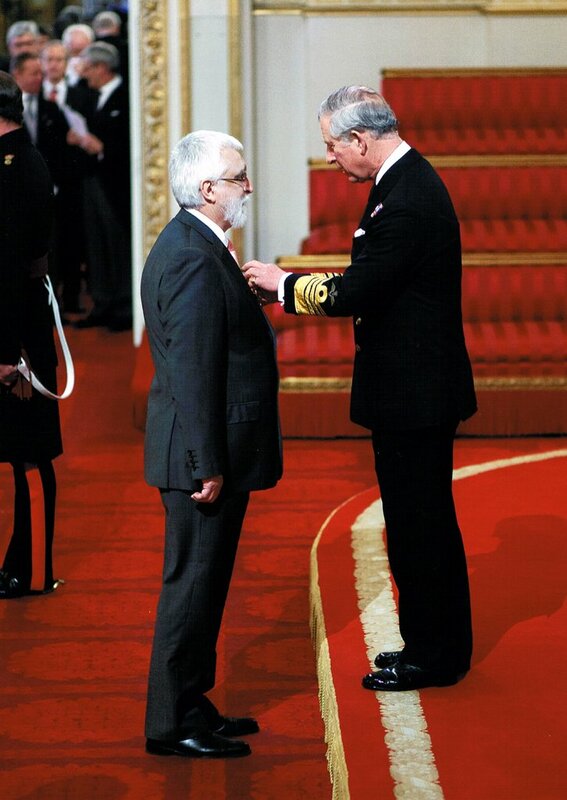 In the 2012 I was honored to be made an Officer of the Most Excellent Order of the British Empire, or OBE, for services to international food science (in the New Year’s Honours). I set up this blog in February 2012, and have written more than 460 stories for a total of around 470,000 words since then, and posted thousands of images, most of which I have taken myself. Steph and I were married on 13 October 1973 in Lima, Peru. We’d met at Birmingham during 1971-72, and after I’d moved to Lima in January 1973, she joined me there in July and also worked at CIP. At La Granja Azul restaurant near Lima (on the left) after our wedding in 1973. And on the right, exactly 45 years later during one of our walks at Croome Court in Worcestershire. Hannah, our elder daughter was born in Costa Rica in April 1978. Philippa was born in Bromsgrove in May 1982, a year after we had moved back to the UK (in March 1981). 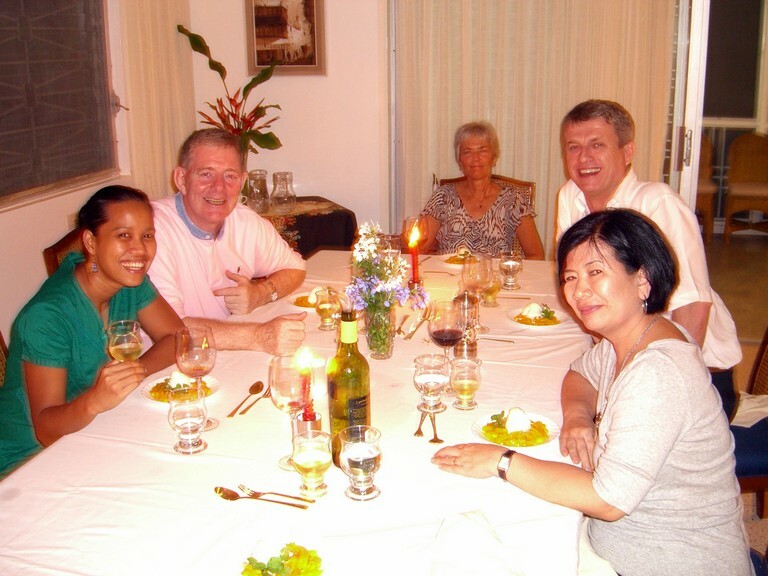 When we moved to the Philippines in 1991, they both attended the International School Manila, and then went on to university in the USA (Macalester College in Minnesota) and Durham in the UK, respectively. In 2006 and 2010, they completed their PhD degrees in psychology, respectively at the University of Minnesota and Northumbria University. PhD graduands! On the left, Hannah is with her classmates in Industrial-Organizational Psychology at the University of Minnesota, Emily and Mike, on 12 May 2006. Philippa (on the right) is with one of her PhD supervisors, Prof. David Kennedy of the Brain, Performance and Nutrition Research Centre in the Dept. of Psychology at Northumbria University on 7 December 2010. In those same years Hannah married Michael, and Phil married Andi. We now have four wonderful grandchildren: Callum (8), Elvis (7), Zoë (6), and Felix (5). 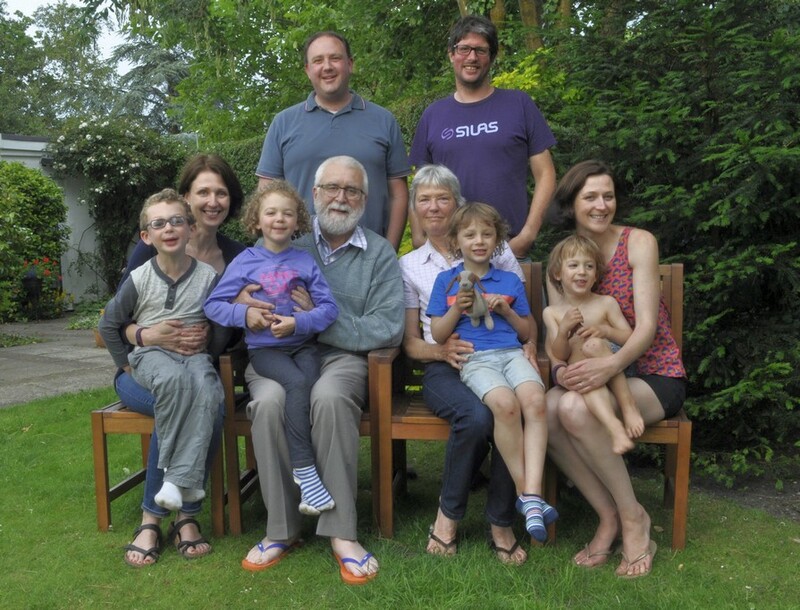 The family came together for the first time in a New Forest holiday in July 2016. 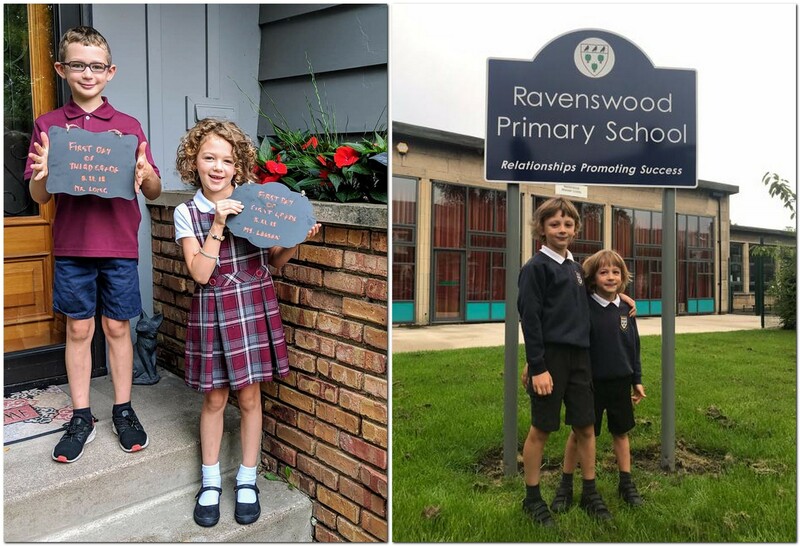 The 2018-19 school year started for Callum and Zoë in August, and for Elvis and Felix in September. It was also Felix’s first day at school. In September, Steph and I spent a week in Cornwall exploring many National Trust and English Heritage properties around the county. So, as I look back on the past 70 years, I can’t say I have much to complain about. Steph and I have a beautiful family. An interesting career took me to more than 65 countries (and Steph to some of those). We’ve lived and worked in three countries and made some wonderful friends. At 70, though, what does life have in store? I think Fleetwood Mac (one of my favorite bands) sum it up quite nicely. If it was fine for Bill Clinton, it’s good enough for me. Retirement is sweet. Who could ask for more? ¹ I no longer have my original birth certificate. That now sits in an archive somewhere in the Miraflores Municipality building in Lima, Peru. When Steph and I married there in October 1973 we had to present our original birth certificates, not realizing these would be filed away in perpetuity and never returned to us. ² I did not really know my mother’s parents, who died before my sixth birthday. They lived in Epsom, Surrey. Unfortunately, politics in the UK is broken and requires more than a sticking plaster. A minority Conservative government under Prime Minister Theresa May has been rent asunder by Brexit. The draft withdrawal deal announced yesterday already appears dead in the water. Even as the Cabinet ‘approved’ the draft text at a marathon meeting yesterday, there were reports that as many as nine cabinet members were opposed, although apparently going along with the whole charade. It’s now just before noon, and already two Cabinet members have resigned, including the second idiot in charge of the Brexit negotiations, Dominic Raab. And several junior ministers have gone as well. More are expected. Theresa May is entering a dark place. Immediately on release of the draft agreement, the Brexiteer vultures began to circle. Without having read the text (a 580 page document, which was published online later in the evening), they rejected the draft out of hand. It has not found favor with Remainers either. In speaking briefly to the assembled press outside No 10, Theresa May said it was her deal, no deal, or no Brexit. Hope lingers eternal that if Parliament rejects the draft, a sane way out of this chaos might yet be found. One thing is clear. Theresa May is going to struggle to win support for the agreement in the House of Commons. Opinion is too divided. May lost her overall parliamentary majority in the disastrous 2017 General Election (for the Conservatives anyway), and has since been kept in power by 10 members of Northern Ireland’s Democratic Unionist Party (DUP). But even they are preparing to abandon the May Brexit ship, despite having accepted a £1 billion ‘bribe’ after the General Election to provide May with a working majority under a confidence-and-supply agreement. They are even more blinkered than usual. It has not been a pretty sight, especially as the border between Northern Ireland and the Republic became the major sticking point in the withdrawal agreement negotiations with the European Union (EU). Given the ‘civil war’ within the ranks of the Conservative Party, Labour should have won the 2017 election, hands down. Or perhaps I should say it could have won the election if its stance on Brexit had been unequivocally in favor of Remain. Unfortunately, Jeremy Corbyn, has consistently proved just what a weak and prevaricating leader of the Labour Party he is. Certainly there is now a clear majority of Labour supporters—in every Labour-held constituency—in favor of remaining, as evidenced by a nationwide poll of 20,090 people that Channel 4 commissioned recently. Even regions of the UK that voted heavily in favor of Brexit: the northeast, Wales, and the southwest, now have majorities in favor of remaining members of the EU. Referendums are, to some extent, a clumsy democratic tool. However, in Switzerland they are used all the time. But, if social mores change, then the Swiss can change their minds, and this shift in opinion can be reflected in another referendum. Referendums are employed in California to guide opportunities to change the law (such as the legalization of cannabis), if I understand that situation correctly. The Brexit referendum was different. Why? Although it was ‘advisory’, it is now seen (on the Brexiteer side) as immutable, the ‘will of the British people’, cast in stone, never to be challenged or overturned. But clearly public opinion has moved on, now that the actual consequences of Brexit are becoming clearer, already realized in some instances. On the other hand, referendums have one important aspect that normal elections (at least in the UK) do not have. Every vote counts. For example, with our first-past-the-post electoral system, there’s hardly any chance that my vote ever counts in parliamentary elections in our Bromsgrove constituency, held by the Conservatives with a comfortable majority; Home Secretary Sajid Javid is the sitting MP. So, the 2016 referendum result, 51.9-48.1% in favor of leaving the EU was an accurate reflection of those who voted. But since only 72.2% of the electorate turned out to vote (actually high by other election standards), those explicitly in favor of leaving were only about 37%. 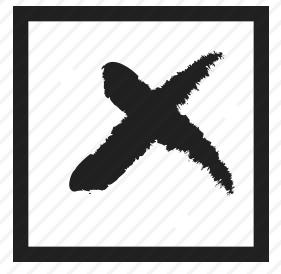 I’ve always maintained that for this referendum that would have such economic, political, constitutional, and social implications, there had to be a minimum agreed voter turnout for the referendum to be valid in the first place (which I think would be the case for 2016), and an overall majority of the electorate (not just those who voted). Goodness knows what the outcome is going to be. Politics has become so tribal, factional, and disjointed, I have no idea where the country is heading – except down the bowl, perhaps. The extremes of politics, on the right and on the left, are center stage right now. It’s time to claim back the center ground, but that’s increasingly difficult with our first-past-the-post system. Reluctantly—and I never thought I would ever come to this position—I do believe it’s time to take really hard and serious look at proportional voting and representation. Compromise is denigrated quite often in politics today, but working to reach compromise does focus minds. Proportional representation in many European countries most often leads to coalition governments that take months to agree a parliamentary agenda. Is that such a bad thing? Is coalition government per se such a bad thing? After the 2010 election the Liberal Democrats went into coalition with the Conservatives and, based on reaction to at least one key decision in government (student tuition fees), the Liberal Democrats were hammered in the 2015 General Election. But was their participation in the coalition so terrible? I sincerely believe that they did help reduce the impact of the hard right (who hated the Lib-Dems with a vengeance), and the natural orientations of Prime Minister David Cameron and Chancellor of the Exchequer George Osbourne. I, for one, would be willing to give coalition government a try once again. And if that means introducing proportional representation, then that’s what needs to be done. After all, future governments can always reverse that decision, something that apparently we are unable or powerless (forbidden?) to effect now to steer a course away from the omnishambles that Brexit has become. Changes to how we elect our politicians would certainly be more than a sticking plaster. Posted in In the news, On my mind . . . I was going to say ‘disaster’, but that would be an exaggeration. Let me take you back to mid-November 2008. It was my 60th birthday, and Steph and I had planned a small dinner—just a handful of close friends—to celebrate with. I didn’t want a big party. 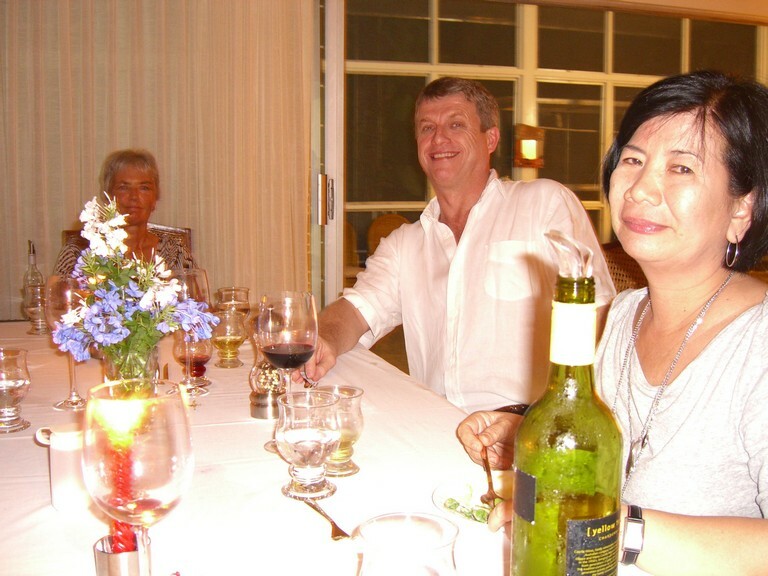 So we invited one of my closest colleagues at the International Rice Research Institute (IRRI) in Los Baños in the Philippines, plant physiologist Dr John Sheehy (with whom I shared the OBE in 2012), my second-in-command in the Office for Program Planning & Communications, Corinta Guerta, and Duncan Macintosh (IRRI’s Director for Development in my office) and his fiancée Cel (now Mrs Macintosh). A week earlier, during our regular monthly shop at Alabang (47 km north towards Manila) we selected a nice looking complete beef tenderloin, perhaps 3-4 kg, which we placed in the freezer in readiness for the dinner party. I also chose a simple starter of delicious local king prawns, and asparagus spears and broccoli with the beef. Fresh mangoes and vanilla ice-cream (my favorites) completed the dessert. 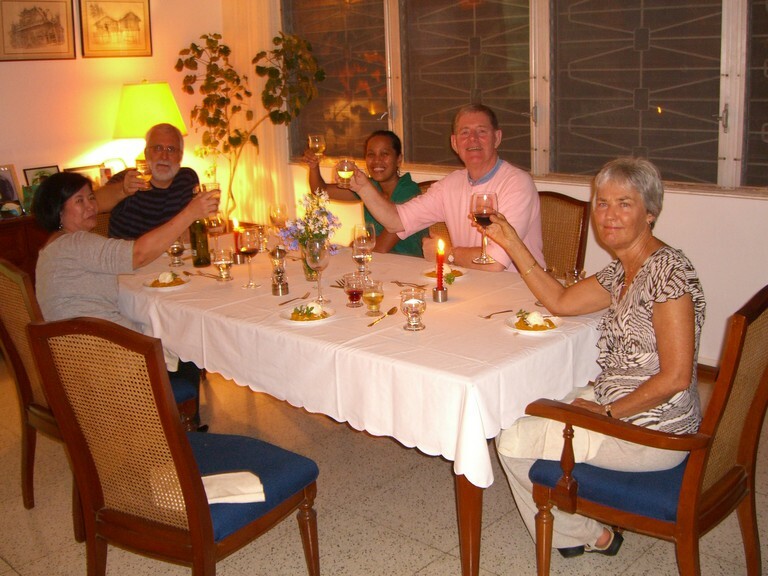 We invited our guests to arrive around 6:30 pm, to enjoy a glass of champagne (or three) before dinner. I’d placed two bottles of Veuve Cliquot Brut on ice beforehand. Anyway, I decided to leave the office a little earlier the day of my birthday, at 4 pm, to check on preparations at home (we lived on the Staff Housing gated community, just 10 minutes from the IRRI research center). Imagine my horror when I found that our helper Lilia had not even taken the beef from the freezer. Just two hours before our guests arrived and we were faced with a frozen slab of beef. I had asked Lilia not to prepare everything too early. Although a fabulous cook, unless checked, she had the habit (tradition even) of preparing and cooking our meals way ahead. I also discovered that she had diced the asparagus into small pieces! This was not an auspicious start to my 60th birthday bash. What to do? We initially thawed the beef under the hot water tap, then placed it in the microwave on the highest setting for several minutes. That at least thawed the beef to a couple of centimeters or so. Then I asked Lilia to brown the beef in a pan on the stove, thawing it even more, before placing it in a hot oven, wrapped in foil to cook for the next hour or so. We sat down to prawns a little after 7 pm, and as we finished that course, I slipped into the kitchen to check on the beef, heart in mouth. Removing the foil, the beef was delightfully cooked on the outside, but what about the center? I prodded it with a fork. It was thawed, and the fork felt warm when I removed it. Taking courage in both hands, I gingerly sliced the beef in two. And, lo and behold, it was cooked to perfection: tender, juicy, and slightly pink in the middle. What a relief doesn’t quite capture my feelings just then. Washed down with several bottles of Cabernet Shiraz or similar, and some digestifs to follow, this was a delightful way to celebrate my birthday. All’s well that ends well. I recently posted a link on a Facebook group to a photo album that shows many of the places Steph and I visited when we lived in Peru in the early 1970s. We worked at the International Potato Center (CIP) in Lima. One friend and former colleague expressed her surprise that we’d lived there only three years. In 1976, after we moved to Costa Rice (but still working for CIP), I continued to visit Peru regularly, at least once a year for CIP’s annual science review meetings. Then, after I left the center in 1981 to return to the UK, I visited Peru several times during the 1980s in connection with my potato research at the University of Birmingham. I also had a consultancy in the late 1980s to help the UK chocolate industry scope a cocoa (Theobroma cacao) conservation project  in the northeast of Peru, similar to the one it had supported in eastern Ecuador  some years earlier. Moving to the Philippines in 1991, my genetic resources and CGIAR system-wide management roles at IRRI took me back to Lima on at least a couple of occasions. And the last time I was there was July 2016; and how Lima had changed! Every day I am reminded of the brief time we spent in Peru. I find my nostalgia for Peru can be quite overwhelming sometimes. I’d had such a strong ambition to visit Peru from an early age that I sometimes wonder if, almost 46 years since I first landed there (on 4 January 1973) it was, after all, just a dream. But no, it was for real. Steph and I were even married in Lima, in October 1973. Why not listen to a haunting melody, Dolor indio, played on the Peruvian flute or quena by Jaime Arias Motta (with Ernesto Valdez Chacón on charango and guitar, and Elias Garcia Arias on bass) while reading the rest of this post. Each morning I wake to see these three watercolors on the wall opposite. I’ve experienced scenes just like these so many times in my travels around the country. Our home is graced with many other reminders. In the kitchen/diner we have a number of ornaments that we picked up at ferias and markets. The centerpiece, however, is an oil painting hanging above the fireplace. For me, this painting evokes so many memories. I have seen that image in so many places, a family walking to market perhaps. Although I bought this painting in Miraflores (at the Sunday market there) it depicts a family, probably from Cajamarca in the north of the country. You can tell that by the style of hat. After I’d posted the link to that photo album on a ex-CIP Facebook group, another member commented that I’d probably seen more of the country than many Peruvians. And 45 years ago that was probably the case. Then, travel around Peru was rather difficult. Few roads were paved, although gravel roads were passable under most circumstances. Landslides commonly affected many roads (such as the main road to the Central Andes from Lima, the Carretera Central) during the rainy season, between December and May. And improving the roads can’t take away that particular risk. Many of the people I knew in Lima had never traveled much around Peru, at least not by road. I guess this will have changed as communications improved in the intervening years. Air travel to distant cities, such as Cuzco was the preferred mode of transport for many. However, that point got me thinking. So I searched for a map of Peru showing the major administrative districts or Departments as they are known; Peru has twenty-four. I’ve visited them all except seven: Tumbes, Piura, and Amazonas in the north; Ucayali and Madre de Dios in the east-southeast; and Moquegua and Tacna in the south. But I’m not really sure about Moquegua. I was checking the road from Arequipa to Puno, and if it still takes the same route across the altiplano as it did more than 40 years ago, it cuts across the northwest corner of Moqegua for a distance of about 3 km. So technically, I guess, I can say I’ve been to that department. But in all the others I have done some serious traveling. Well, most of them. Steph and I took the opportunity whenever we had free time to jump in the car and explore the Santa Eulalia valley, east of Lima. Steph had (has) an interest in cacti and succulents, and this was a great place for some relaxed botanizing. Further up the valley, at higher altitudes wild potatoes were quite common by the side of the road. And it was in relation to several extensive trips that I made to collect native potato varieties that I got to see parts of Peru that perhaps remain quite isolated even today. In May 1973, my colleague Zosimo Huaman and I spent almost a month traveling around the Departments of Ancash and La Libertad. A year later, I went by myself (with a driver) to explore the Department of Cajamarca. I was so impressed with what I saw in all three that I took Steph and a couple of friends back there. But my work-related travels took me off the beaten track: by road as far as the roads would take us, and then on foot or on horseback. Again, take a look at the Peru stories and photo album to marvel at beauty of the landscapes and sights we experienced, the archaeology we explored, the botanizing we attempted. Steph and I drove around central Peru in Ayacucho, Junin, and down to the selva lowlands to the east. In the south we drove to Arequipa and Puno (where my potato collecting work also took me to Cuyo Cuyo), as well as to Cuzco (by air) and Machu Picchu of course. My cocoa consultancy took me to Tarapoto in San Martin (proposed site of the cocoa field genebank), and to Iquitos where I crossed the two mile-wide Amazon in a small motorboat to reach a site of some very old cocoa trees (the ‘Pound Collection‘) on the far bank. I’ve written also about Peru’s cuisine and its famous pisco sour. Lima now boasts some of the world’s most highly acclaimed restaurants. And talking of food and drink, Steph and I loved to dine at La Granja Azul, a former monastery on the eastern outskirts of Lima along the Carretera Central. We had our wedding lunch there. The restaurant only served chicken grilled on the spit; and the most delicious chicken liver kebabs or anticuchos. These were served while waiting in the bar for dinner to be served. And, in the bar, there were (and still is) the most cocktails. We often enjoyed a particular one: Batchelor’s Desire. I don’t recall all its ingredients, but I think it had a base of gin, with kirsch among other ingredients. What a kick! Its signature however was a small ceramic statue of a naked female embellishing the cocktail. It must have made an impression, as we still have one of the figures displayed in a cabinet! From the image I just saw on the restaurant website, the naked lady is no longer part of the experience. Very 1970s perhaps. Peru is a country that should be on the bucket list of anyone with a hankering for travel. Don’t take my word for it. Go and and experience it for yourself. A British slang phrase of uncertain origin. It is generally used to mean everything which is necessary, appropriate or possible; ‘the works’. The project never got off the ground. The political situation in Peru had deteriorated, the terrorist organization Sendero Luminoso or Shining Path was in the ascendant nationwide, and drug traffickers (narcotraficantes) were active in the region of Peru (near Tarapoto) where it was hoped to establish the field genebank. In that context, a story in The Guardian recently is quite interesting, putting back the domestication of cacao some 1500 years, and to Ecuador not Central America and the Mayas as has long been surmised. Viewed by thousands of motorists every day as they head into Newcastle upon Tyne or further north on the A1, the iconic Angel of the North spreads its (her?) welcoming wings on the southern outskirts of Gateshead. 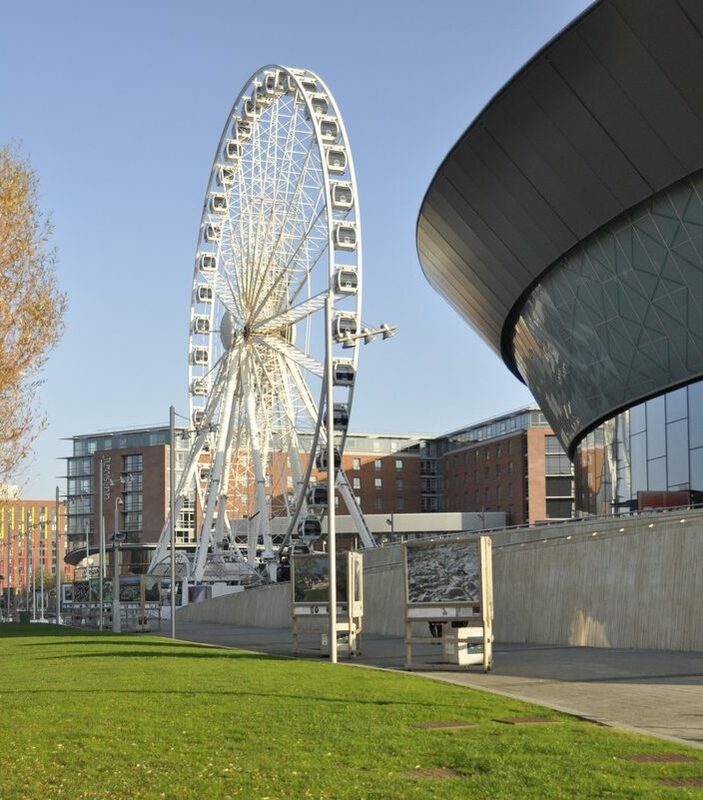 It was commissioned by Gateshead Council, and erected in February 1998. 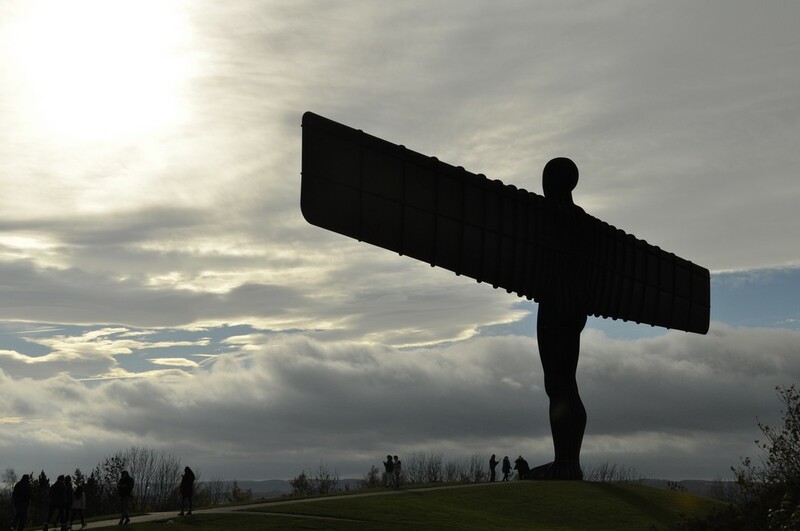 Designed by British sculptor Sir Antony Gormley¹(who also created Another Place of 100 iron figures on the beach at Crosby near Liverpool), the Angel of the North stands over 20 m tall, and has a wingspan of 54 m. Overall, the Angel’s statistics are something to behold. The construction details are also rather interesting. But why choose an angel as such an emblem for the North? Here’s what Antony Gormley said. Driving north at 60-70 mph you only get a brief glimpse of the Angel off to the right, or a receding image in the rear-view mirror. So having seen the Penshaw Monument (just 8½ miles east) last Sunday, and with improving afternoon sunshine, we decided to grab the opportunity to view the Angel up close and personal. And we were not disappointed. It/She is a wonderful piece of sculpture of which Gateshead (and the Northeast) should be justifiably proud. So, if you’re headed towards the Northeast, don’t just drive by as we had for years, but leave the A1 at the A167 junction for Gateshead (map) and see for yourselves why this sculpture has become such a ‘heavenly’ icon. It’s well signposted.